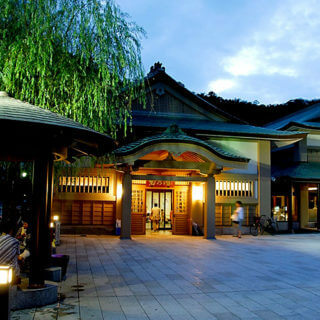 This hot spring area, surrounded by the natural beauty of the mountains, was established 1,300 years ago. 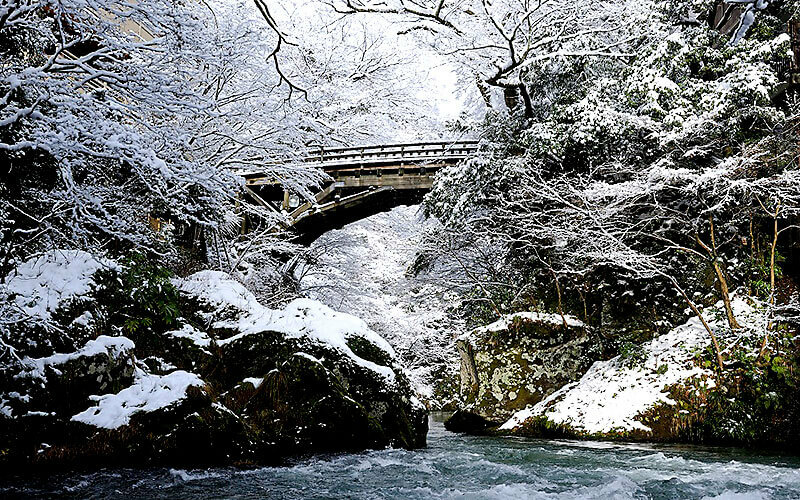 In 1689, the haiku poet Basho visited Yamanaka Onsen during his travels along the Narrow Road to the Deep North (Oku no Hosomichi). 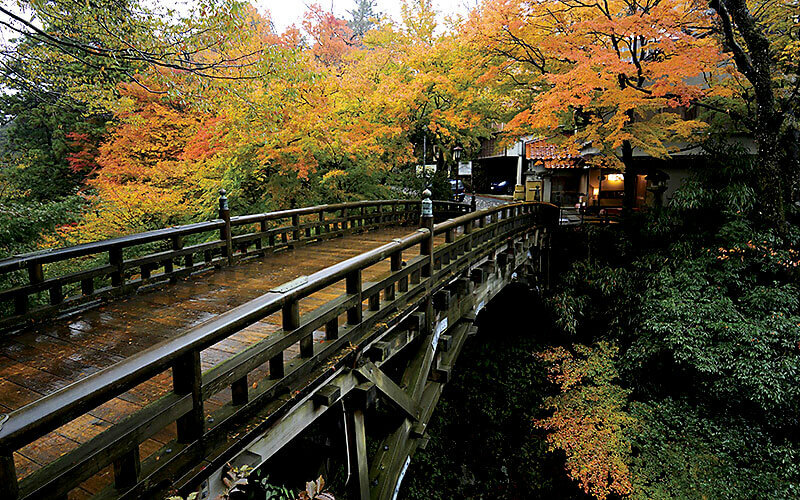 Today, the town's Yuge Kaido road features charming restaurants and galleries, making it a lovely place for a walk. 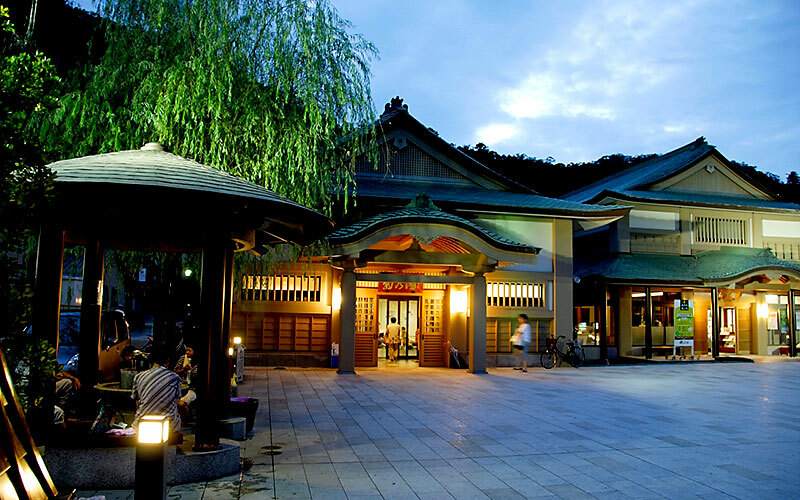 At Yamanaka-za, located next to the Soyu public bath, visitors can enjoy traditional performances by local geishas. 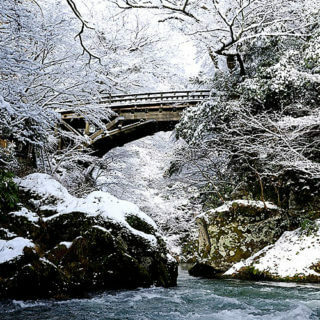 The nearby Kakusenkei Gorge is the most beautiful gorge in the Hokuriku region, with a walking path along its 1.3-kilometer length featuring remarkable rock formations, charming bridges, and wonderful scenery through all four seasons, and the kawadoko riverside tea café near the Ayatori Bridge offers tea and sweets from April through October. 30 min. bus ride from JR Kagaonsen Sta.